Many people today are looking for a natural skin remedies for dry scalp problems (including eczema scalp remedies). This condition can plague young and old alike. 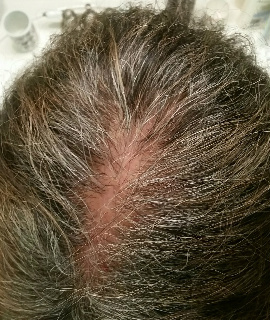 There are many types of scalp problems; from itchy, flaky scalp, dry patches, dandruff, seborrheic dermatitis and even hair loss ranging from mild to severe. The bottom line is that every one needs the proper scalp care. 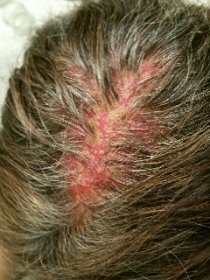 Did you know that scalp problems are more common than you may think? For example, dandruff - that dry, itchy, white or yellow flaking of the scalp - affects up to 70% of men, women and children in various degrees of severity. Dry scalp differs from dandruff but is just as problematic since it is a symptom of moisture and oil production imbalance that can result in a very itchy scalp! Of course, your natural reaction is to scratch, but scratching or even rubbing can aggravate the problem. Many factors can contribute to the cause of dry scalp and its related symptoms. 1) Winter's blistery, cold and dry air wreaks havoc on our skin overall. 2) Hot, sunny summertime can also cause a type of "sweaty dryness" that brings on problems. 3) Certain food allergies can affect us in various ways. 4) Hair products and shampoos containing the chemicals PHTHALATES, SODIUM LAURYL SULFATE, DEA, MEA, TEA and FRAGRANCES can cause a red, drying rash on your scalp,around the eyes and along the neck, with flaking, peeling, and itching. Unfortunately, the federal government doesn't limit their use. 5) All the myriad of gels, creams, conditioners and sprays that we apply on a daily basis weakens or ruins the natural PH of the scalp. More than 100 leading brands of shampoos contain most of these ingredients. The main reason sodium lauryl sulfate is used is because it is an inexpensive detergent and makes mixtures foam well. Because of its protein denaturing properties, it has a significant degenerative effect on the cell membrane. Sodium lauryl sulfate may also be damaging to the immune system, especially within the skin causing layers to potentially separate and inflame due to its protein denaturing properties as well as causing damage to the hair follicle resulting in possible hair loss, according to studies. Sadly, shampoos rank among the products most often reported to the Food and Drug Administration in association with dry scalp, irritation and outbreaks, stinging eyes, and tangled, split, and fuzzy hair. 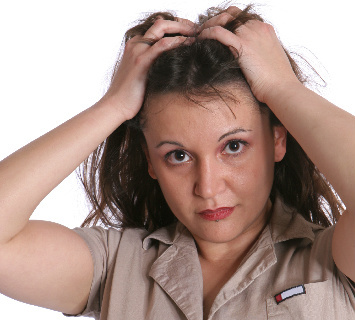 Many customers ask me over and over again, "What are some skin remedies for dry scalp?" I tell them to learn to read the labels of the products you purchase for yourself and your family! Stay away from highly commercialized and highly advertised products with chemical filled ingredients. Today you've learned about 3 such ingredients to stay away from. Urea: Medically proven in various clinical studies to add much needed moisture to cells thereby relieving the "pulling" effect which makes the scalp feel tight and itchy. A natural shampoo doesn't disturb the natural PH of the hair & scalp like most commercial shampoos do. It soothes and hydrates the scalp (and hair shafts) for long lasting relief and health. It should be so gentle and mild that it can even be used on babies and small children and be safe for the whole family. 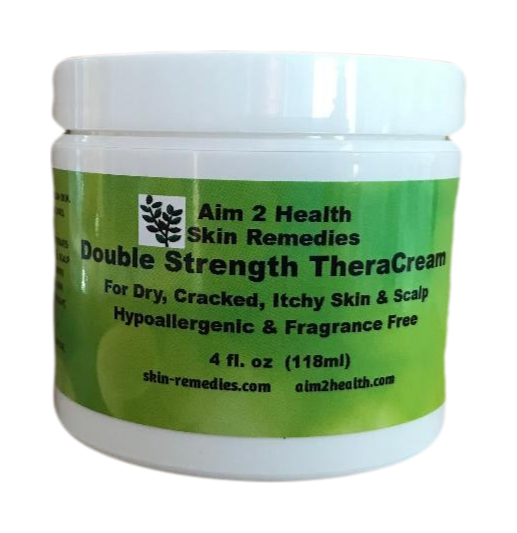 For Severe Dry Scalp Conditions: At night before bedtime, rub a specially formulated therapeutic double strength cream into the parts of the scalp affected. A double strength formula penetrates the thicker skin of the scalp deeper and faster. Allow to absorb overnight into the 7 layers of scalp tissue and wash hair in the morning with the proper shampoo. Repeat as necessary until the problem is gone. For Hair Loss In Men As Well As Women: Follow the same procedure as above but more frequently to unpack the dry, damaged cells that lie 7 layers beneath the scalp surface. This is critical in bringing balance back to the scalp so that the hair follicles can thrive and further hair loss can be prevented. 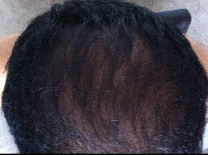 This process can greatly stimulate a rejuvenation of hair growth due to this restored balance. 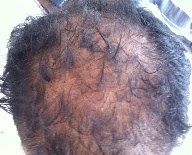 My problem was dry scalp & hair loss. I used your products and took before and after pictures. I hope this helps others to see what your products can do! Below you will find links to the natural products I recommend that, in my professional opinion, work BEST for dry scalp symptoms. Going Crazy!! Doctors think I'm having anxiety!